We are going to gloss over very quickly what I am reading this week. That's because it's the same two books as last week. I have 20 or so pages to go on The Lace Reader which I am thoroughly enjoying. It's a weird book but I like the way the story is written. I just was unable to finish reading before this early a.m. post. Bird by Bird is a book I am savoring. I am not in any hurry to read this book fast. I read a few pages then do some thinking. Love the book! Do you see that project on the left? That is a Citron Shawl with Jojoland's Harmony. I have had this ball of yarn for quite some time in my stash. I have no idea why I bought cobweb lace....It must have been a momentary lapse of judgement on my part. I adore the colorway!! Starting the pattern was quite fiddly but now it's manageable and I'm enjoying the knit. On size five needles. 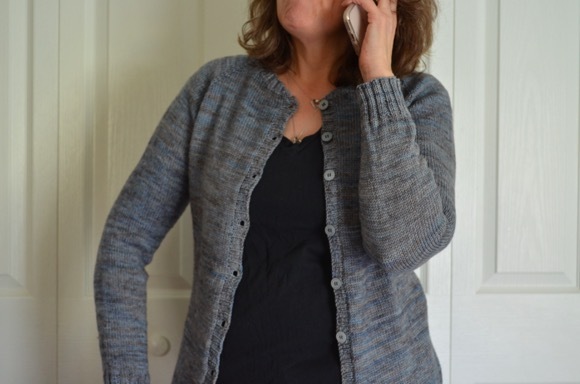 My other project is my featherweight cardigan in silk. Starting anything with silk yarn is crazy slippery. However, once I had about two inches, I am not knitting in fear of losing stitches. I wish everyone could feel this yarn, it is oh so soft!! What are knitting and reading this week? I think it was a momentary lapse. Wow. Both of those yarns look amazing. I'm in awe of your awesomeness for knitting with such tiny yarn. Pretty though!! Bird by Bird was my first Anne Lamott book. I love it! The lace colorway is gorgeous! I can't wait to see that finished shawl! Lapse maybe but it's gorgeous! The silk looks lovely too. I agree, great colors. It's gorgeous! I love the colors. I had bird by bird out from the library a few weeks ago but needed to return it before I got a chance to read it. I should put it back on hold again! Definitely beautiful yarn but ohmygosh! I love that cobweb lace - you can see the table through it! Must be tough to knit with something so fine. And the silk yarn? You're brave. I've only tried something that was a silk blend - the other fibers kept it from being too slippery. those are two of the most decadent lushy lovely project ever!!!! How to you decide what you want running through your fingers????? I have some lace weight yarn that I would like to do something with this summer. I have a hard time knitting with it because it's so thin! Oh my gosh! 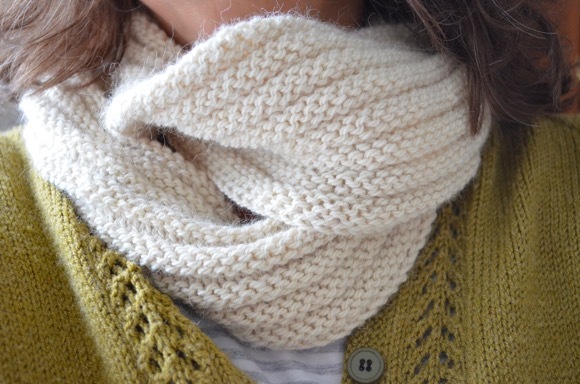 That Citron Shawl is just beautiful! You are WAY braver than I when it comes to cobweb lace - although I can see why you couldn't resist it - the color is BEAUTIFUL! That cobweb confection is amazing! I don't envy you the knitting of it - thin yarn gives me a headache. Literally. But it's *so* beaufitul! They both look so wonderful- I really want to make the citron shawl too...and so pretty in the lace weight yarn Karen. I love both of those yarns. I've never knit anything in them and it looks like it would be difficult to start. But I imagine once you're going it gets easier. Can't wait to see finished projects! I recently pulled Bird by Bird off my shelf and look forward to reading it. Oh that shawl is stunning! I love the colorway and it just looks so darned soft! As for silk, good for you, I have some silk I've started with 2x now and keep getting frustrated in the first couple of rows! I'm a soul in search of a good read. The past few have been duds. Your knitting looks great! Wow, that shawl! You are a very brave person, knitting cobweb lacae! I have some cobweb I bought in a moment of weakness. I have yet to cast on with it, but I do have it assigned to a gorgeous shawl pattern. I'll get around to knitting it someday. Both projects are gorgeous! Excited to see the final results! oooh, a featherweight cardigan, wow! i'm impressed, i would never have the patience for it! I love the cobweb lace. I have some languishing in my stash that I need to do something with... maybe this pattern will be just the thing? The colors of yours are lovely! Some books just need to be savoured. I feel that about the book I'm reading at the moment. Stop and digest it a bit, before going onto the next part. Wow. Cobweb. That's all I'm saying! Ooh, a citron! I love that pattern, and yours is going to be gorgeous in that yarn, it looks all ethereal and spring-wonderful. Wow! It all looks so amazing, can't wait to see them finished. Wow, that yarn is amazing! It'll make such a beautiful feathery shawl. Wow! That shawl looks like gossamer. So delicate and beautiful. Bird by Bird is one of my all-time favorite writing books. I find it so inspiring.